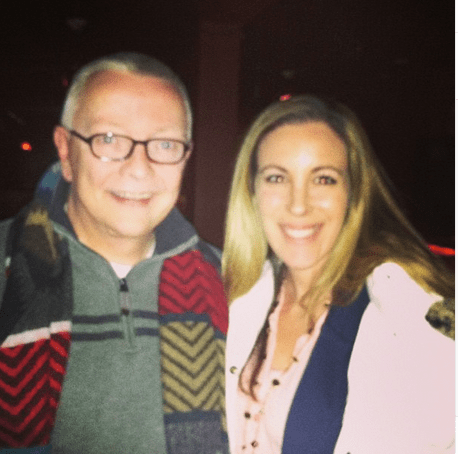 Last week, my friend and I headed out to meet psychic / medium Chip Coffey. He was hosting a local event at Katie’s Bar – a Suffolk pub that is known for being haunted. I bought tickets several months ago while on bed rest and was REALLY excited to attend the function. The actual medium portion of the event was quick and predictable. I wasn’t called on – so I don’t have much to say about it. Half of the people Chip read were spot on and then the other half had to go home and think about what he was saying. I don’t doubt his abilities. Not at all. But that wasn’t the highlight of my evening. I upgraded to the VIP ticket for a few extra dollars so my friend and I could do a little ghost hunting with Chip. He is best known for his time spent on Paranormal State. Ever watch those scenes where they take two flashlights and ask a spirit to turn on the flashlight for a yes or no? Well, it happened right in front of my eyes. And it was CRAZY. That cannot be a coincidence. And it always happened exactly the way that man wanted it to. We weren’t blinking!! So amazing! I’m not going to go home and start doing this sort of thing – but it was fun to watch. Have you ever tried to do something like this on your own? I would be too scared!